What is given by the right hand cannot be taken by the left hand. The Government shall speak only in one voice. It has only one policy. The departments are to implement the Government policy and not their own policy, The Supreme Court said today, allowing the appeal of a Company holding that it is eligible for the concession as decided by the cabinet of the state. 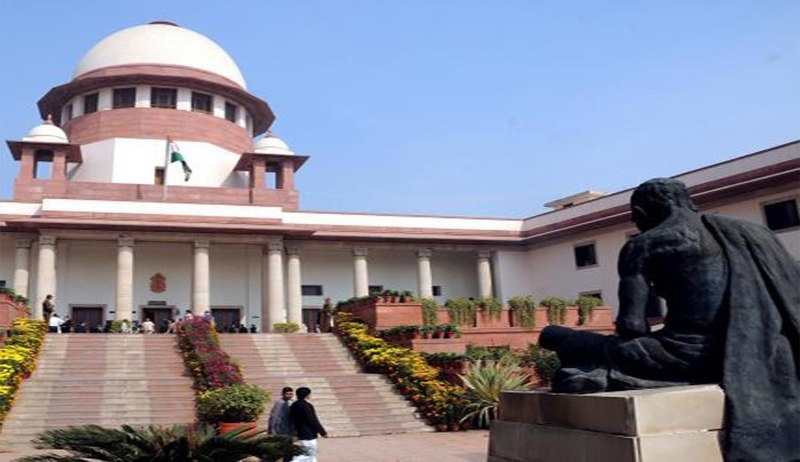 Supreme Court on Thursday in Lloyd Electric and Engineering Limited vs State of Himachal Pradesh, held that the Department of a Government cannot issue a notification contrary to the policy decision taken by the Government. Setting aside the High Court Judgment, a Three Judges bench of Apex Court declared that the appellant is entitled to the concessional rate of Central Sales Tax @ 1 per cent with effect from 01.04.2009 till 31.03.2013 until it is duly varied by the State Government. The dispute between the Company and the Government was whether the latter is liable to pay Central Sales Tax@ 2 per cent on the inter-State sales for the period 01.04.2009 to 17.06.2009 or @ 1 per cent in view of the Industrial Policy of the State. As per the Industrial Policy of the State of Himachal Pradesh, the appellant had been enjoying the concessional rate in CST @ 1 per cent upto 31.03.2009.Cabinet had taken a policy decision to extend the period of concession up to 31.03.2013 or till the CST is phased out. Thereafter Excise and Taxation Department of the state issued a notification dated 18.06.2009 said that Tax shall be payable under Central Tax Act at the rate of 1% of the taxable turnover of such goods with immediate effect for the period ending 31.03.2013. The State contended that since the notification under the Act providing for tax concession was issued only on 18.06.2009 wherein it was specifically mentioned that the notification would have immediate effect and would operate for the period ending on 31.03.2013, the appellant is not entitled to the CST concession, whereas the appellant contended that in view of the policy decision taken by the State Government extending the tax concession beyond 31.03.2009 to 31.03.2013, the Excise and Taxation Department of the State Government cannot take a different view and deny the tax concession for the period between 01.04.2009 to 18.06.2009. The High Court had held that the company is not eligible for concession and the appeal was preferred in Supreme Court. The High Court also erred in analysing and understanding the Notification dated 18.06.2009 as if it introduced the CST concession @ 1 per cent with effect from the date of issuance of notification. As we have already clarified, it is not the introduction of a new policy but an extension of the benefits under the extended policy, the Court said while setting aside the High Court judgment.